There are four artists using the name "Lorien". The first, is a metal band from Spain, formed in 1996. The band's musical style is often claimed to be "power metal" due to it's lyrics focusing mainly on items of the same nature as fantasy novels. The name, Lórien is one of the Valar in J.R.R. Tolkien's Silmarillion and also the name of the forest where Galadriel and Celeborn dwelt in J.R.R. Tolkien's Lord Of The Rings. The band has released two albums so far, Secrets of the Elder, in 2002, and From the Forests to the Havens in 2005. The second is an alternative indie band from Nashville, TN. While it has been less then a year since the bands materialization, Nashville-natives Lorien have accomplished a great deal. The five individuals that comprise Lorien began experimenting in September of 2005. Pulling from bands like Muse, Radiohead, and Gatsby's American Dream, their apartment demos were encouraging. 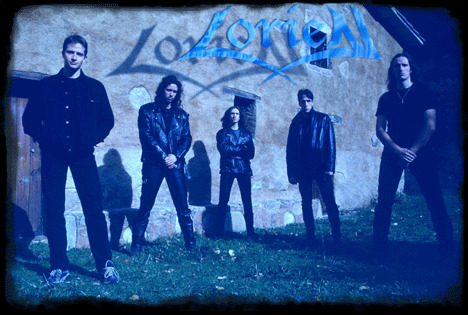 With their own unique blend of poetic, breathy vocals, epic classical piano, progressive rhythms, and melodic guitar work, Lorien quickly discovered they were making music that couldnt wait to be heard. October 10, 2005, only one month after playing together, Lorien performed their first show for over 2000 people. With initial exposure this high, Lorien set dates all over the southeast. The crowd response was unanimous; no one could get enough of Lorien! With hope, they set out to record an EP. Demos of Hail To The Queen, Seven Ways To Lie, and Comfortable [Praise The Stage] attracted the attention of young and talented engineer, Andy Hunt (Jars of Clay, Buddy Guy, Smash Mouth). They began recording feverishly in the spring of 2006. It was at this same time that they received word of their being selected to compete in Cornerstone Festivals New Band Showcase. By way of highest number of fan votes, Lorien was named Grand Prize Winner! This honor entitled them to a main stage performance at Cornerstone Festival with mewithoutYou, Copeland, Anberlin, and David Crowder Band. Following their well-received performance at Cornerstone in July, Lorien put the finishing touches on their EP, titled The Ghost In The Parlor. In September of 2006 Lorien played their EP release concert at Nashville's RCKTWN for an elated crowd. In preparation for this larger-than-life performance, they crafted a stage show complete with a choir and string quartet, as well as complex percussion breakdowns involving nearly every member of the band. It is this interesting and exciting professionalism that has gained Lorien the respect of many appreciators of music, and has garnered them several counts of publishing and label interest. 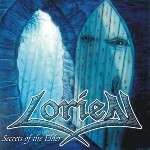 Lorien's full and unique sound has a relevant and important place in the chronology of popular music; it is one you will be hearing a whole lot more of in the very near future. The third is an gothic band from Poland. The band has released two albums: Lothlorien, in 1998, and Czarny Kwiat Lotosu in 2002. The fourth is an alternative Britpopband from Reykjavik, Iceland.